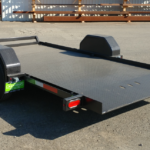 Pan tilts are great for man lifts, scissors lifts, mowers, and other low clearance equipment. 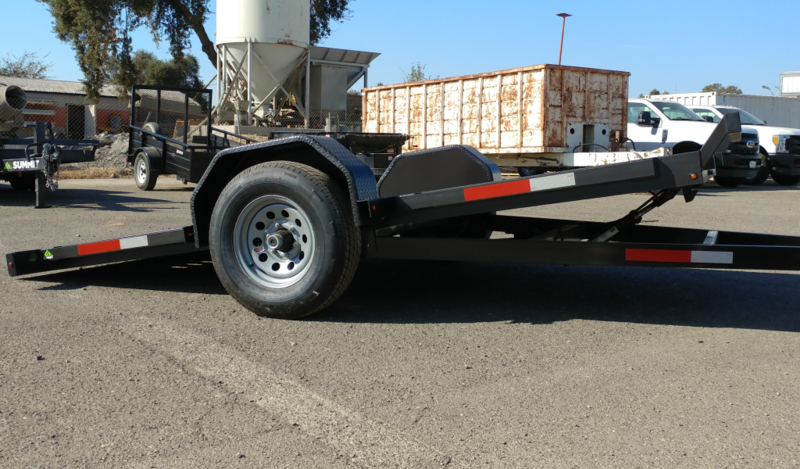 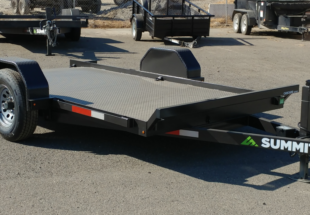 These tilt trailers are designed with a low deck height and low-approach tilt angle for easy loading of low profile equipment that is typically difficult to load and unload on a normal trailer. 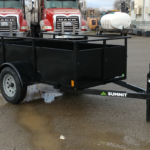 Model 60PT is one of our smaller pan tilts. 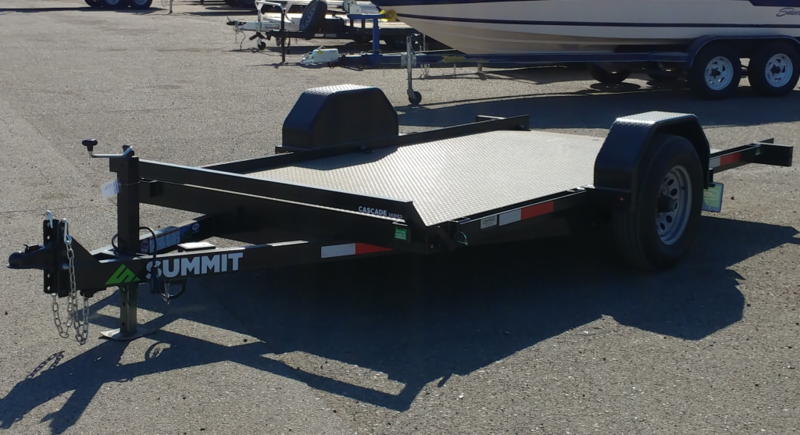 This Summit 6×12 5,200 lb. 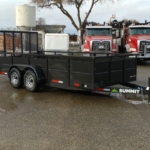 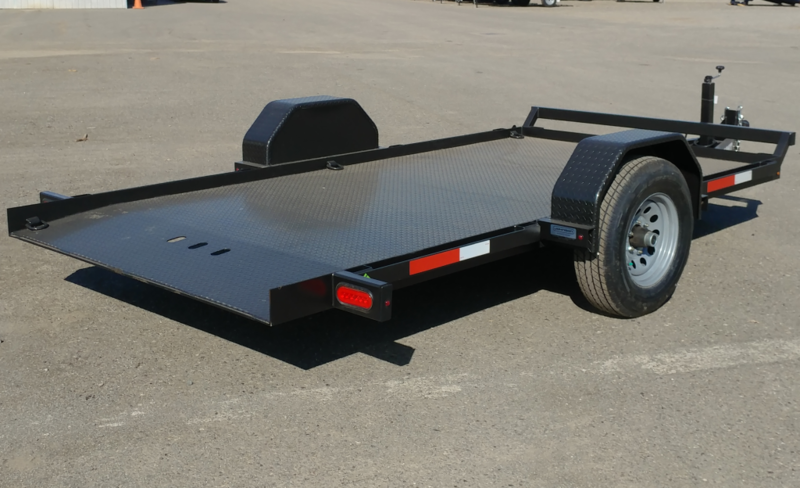 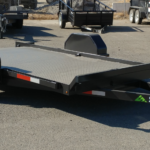 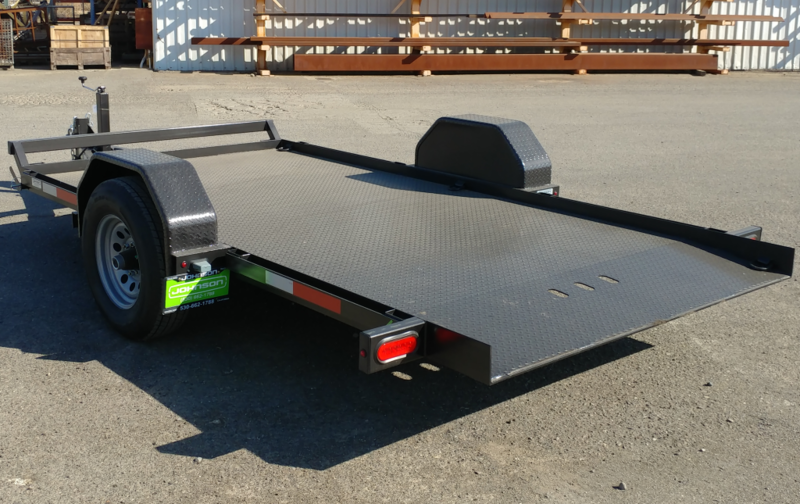 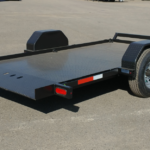 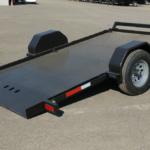 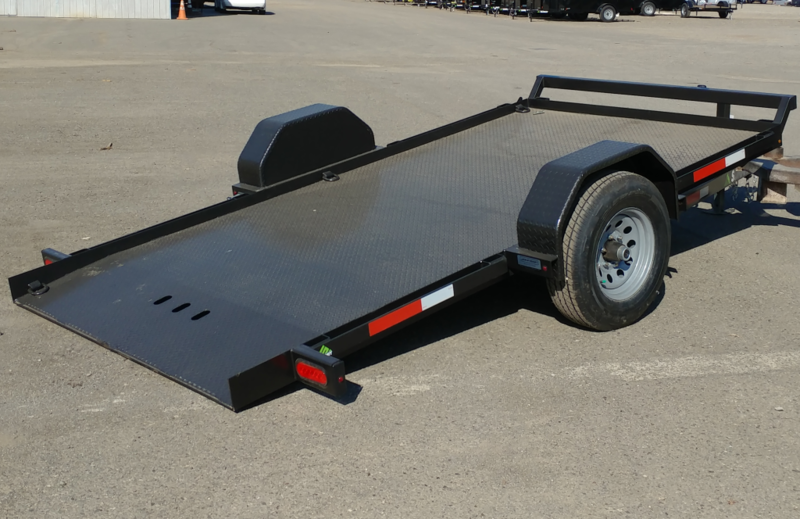 Pan Tilt trailer has a 12′ long deck that’s 3/16″ thick diamond plate. 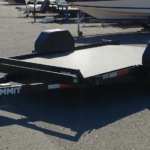 Summit includes a lifetime structural warranty. 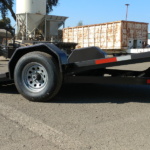 We also offer tandem axle pan tilts with much greater weight carrying capacity. 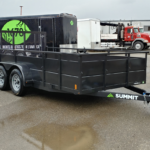 payload capacity of 3,350 lbs.